"There is no easy side to be on in this debate," Oliver said on Last Week Tonight. So he explained why Apple's side is right. 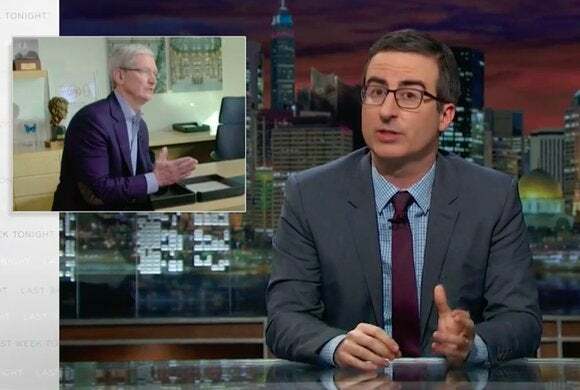 John Oliver helpfully explained the encryption debate Sunday on his HBO show Last Week Tonight—and how being able to protect the insane amount of data we create every day is “pretty fundamental to how we live our lives.” Now the FBI has taken issue with how built-in encryption in iOS is preventing them from gathering evidence from locked iPhones, and Apple is refusing to code them a way around it. “There is no easy side to be on in this debate,” Oliver rightly declares, although at the end of the day he comes down on Apple’s side. Part of the difficulty is the semantics being tossed around. The government is using “deliberately ominous terms” like “going dark,” making dubious analogies to safe-cracking, and talking about the need to “penetrate” anything at any time. But Oliver doesn’t let Apple off the hook either, pointing out Tim Cook’s use of “cancer” to describe the proposed software. The 18-minute segment is both a helpful summary of where we are, and a classic example of John Oliver at his funniest. Check it out below, and let us know what you think in the comments.